EgyptAir Seeks to Expand Airlines in Africa EgyptAir currently reaches 30 African cities, and will offer service to the commercial capital of Cameroon by summer 2019 Adviser to the Minister of Civil Aviation Amjad Aref said Sunday that the Egyptian government is seeking to expand the African network of airlines to reach all African capitals. This came during a meeting of the African Affairs Committee in the House of Representatives headed by MP Tareq Radwan. Aref added that EgyptAir reaches 30 African cities, adding that EgyptAir will reach the commercial capital of Cameroon by summer 2019. 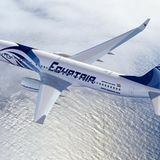 Most of the lines operated by EgyptAir towards Africa are political lines," he said, referring that EgyptAir does not get an economic return and does not receive any financial support from the government in exchange for losses. Aref also said that EgyptAir has operated a line to Asmara, capital of Eritrea, for years and will start operating the Djibouti line next winter. .
2 After almost two hours turning around in Cape Town, the return flight is due to depart at 2150. It will then touch down in Newark at 05:45 the next day. The new route will launch on the 15th of December. Photo: United Airlines United’s Boeing 787s United Airlines will operate the new service with their Boeing 787-9 aircraft. United Airlines was the first carrier to operate one of each aircraft from the Boeing 787 family. That is to say the 787-8, the 787-9, and the 787-10. United‟s Boeing 787-9 can carry 252 passengers. This includes 48 seats in the Polaris business class, 88 seats in Economy Plus, and 116 seats in Economy. United currently operates a fleet of 44 Boeing 787 aircraft. This is made up of 12 -8s, 25 -9s, and 7 -10s. The most recent arrival to the fleet was the Boeing 787-10. The official Inaugural flight of the Boeing 787-10 in United‟s fleet was on the 8th of January from Los Angeles to New York. However, due to a shortage of aircraft, the Boeing 787-10 was used prior to this flight in passenger service. 1 Emirates announces an interline agreement with Africa World Airlines New agreement will connect passengers to West African destinations Emirates, the world‟s largest international airline, and Africa World Airlines (AWA), the Ghanaian airline headquartered in Accra, have announced a one-way interline agreement whereby Emirates customers can connect onto selected routes of Africa World Airlines‟ network, opening up new African destinations for Emirates customers from May 2019. “The agreement between Emirates and Africa World Airlines underpins our commitment to provide greater connectivity across West Africa. This partnership will allow us to further extend West Africa via the selected domestic and regional routes of Africa World Airlines,” said Orhan Abbas, Emirates Senior Vice President, Commercial Operations, Africa. This is the most important daily news about civil aviation and airports .. 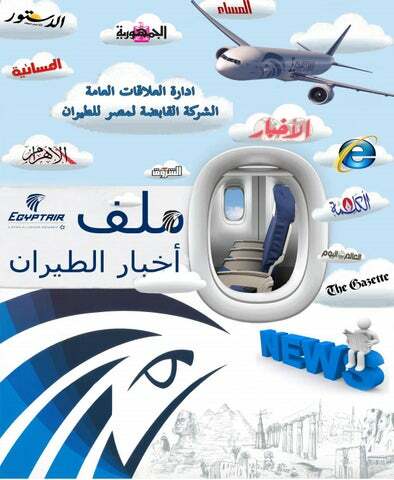 Published by PUBLIC RELATIONS Of EGYPTAIR Holding Co.